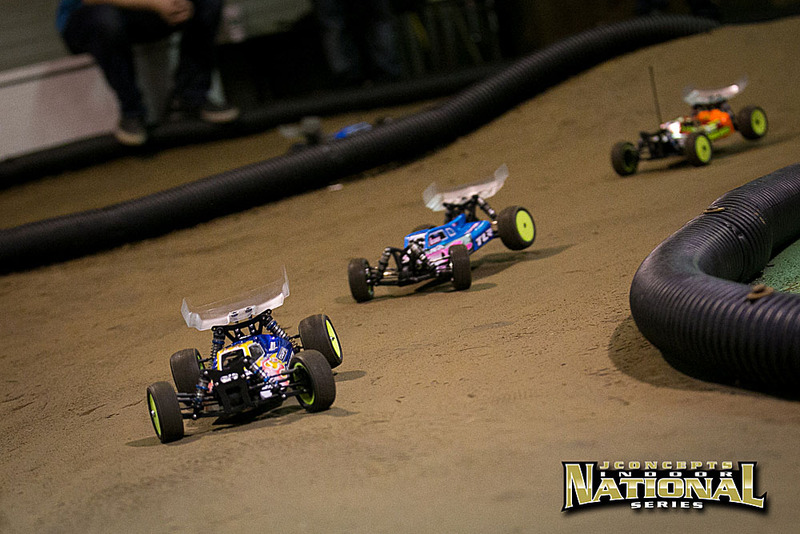 Having made an early mistake in A1 which resulted in an unfavorable 3rd pace finish for the 2wd modified TQ, AE/JConcepts’ Nick Gibson vowed he wouldn’t make the same mistake twice. This time, the story was much different as Gibson was able to slowly stretch out his lead the rest of the pack. In a league of his own and having the fastest car on the track, Gibson was able pull away and cruise to an uncontested win in A2 leaving the rest to battle for 2nd and 3rd. From the second spot on the grid, TLR’s JP Richards was hanging tough trying his best to keep pressure on the Gibson, but a costly traction roll at the end of the straightaway allowed Schoettler to once again take over 2nd. With not enough time on the clock to track down the leader, Schoettler was then left to defend his position from a hard charging Richards who had a 3 second deficit to make up. Richards put in a valiant effort, but came up a second short and had to settle for 3rd place while Schoettler would add a 2nd place finish to his A1 victory. 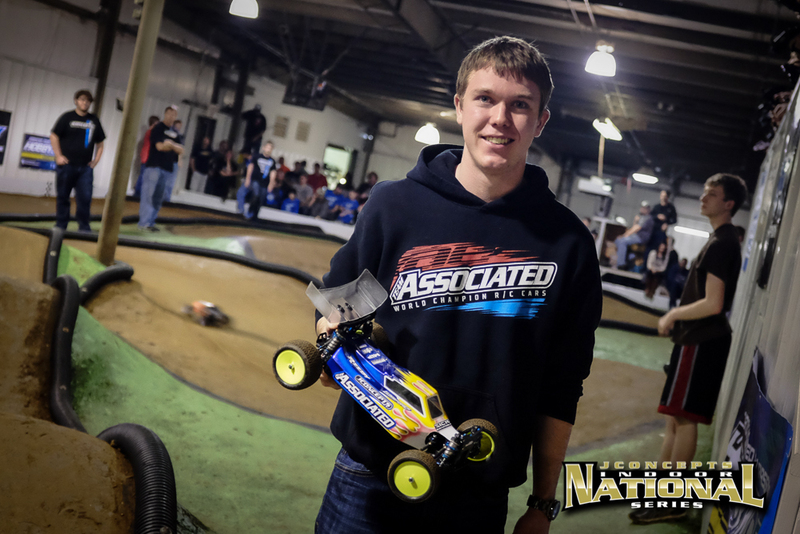 With 1 win under his belt in the 4wd modified class, AE/JConcepts’ Michael Schoettler had only one goal on his mind and that was check out and win A2. Richards, however had other plans on his mind as he shadowed Schoettler’s every move and was glued to his bumper. As the two drivers would slowly pull away from the rest of the field, this intense nose to tail style of racing was exciting for all viewers as they cheered for their favorites. On the 5th lap, Richards would make a mistake that would send him from 2nd to 7th and was unable to get back in his groove. 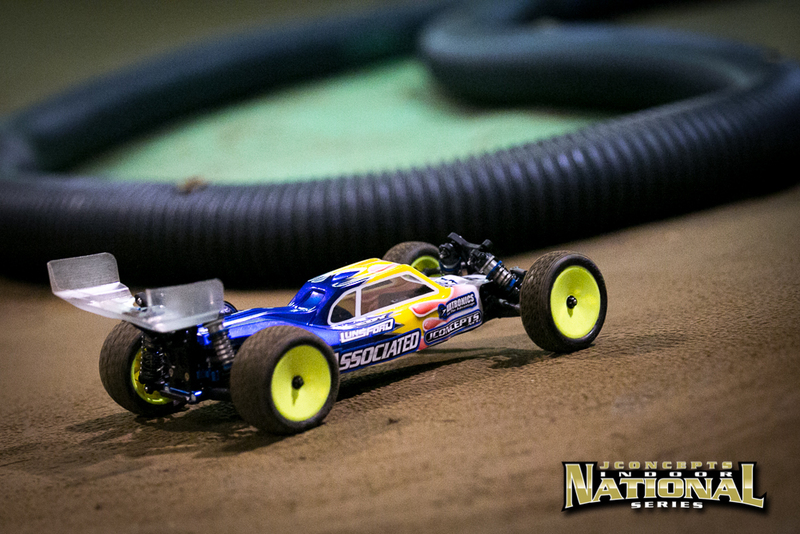 Capitalizing on Richard’s error, TLR/JConcepts’ Cody Hollis would move from 5th on the grid and work his way into 2nd. Also benefiting from other’s mishaps, Brad Dean would find himself in 3rd and finish out the main with one his best performance of the weekend. 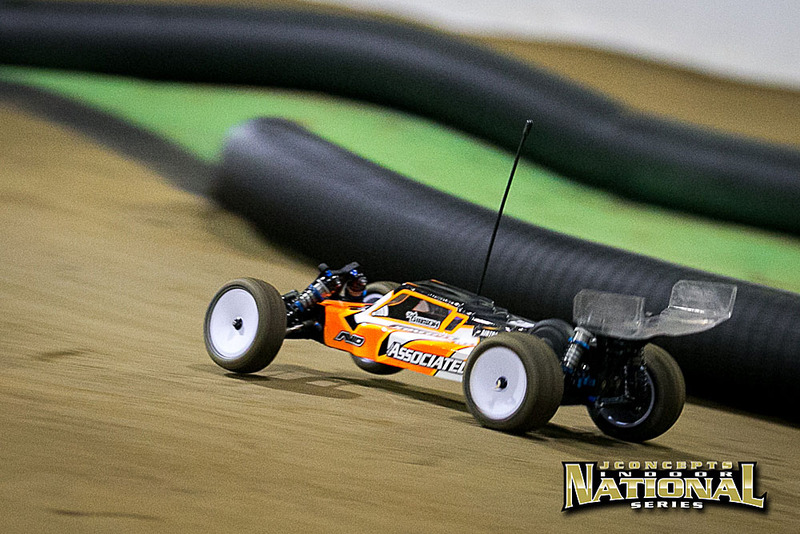 Having won A1 and A2 with flawless drives, Michael Schoettler will be your 2015 JConcepts Winter Indoor National Champion in the modified 4wd class! 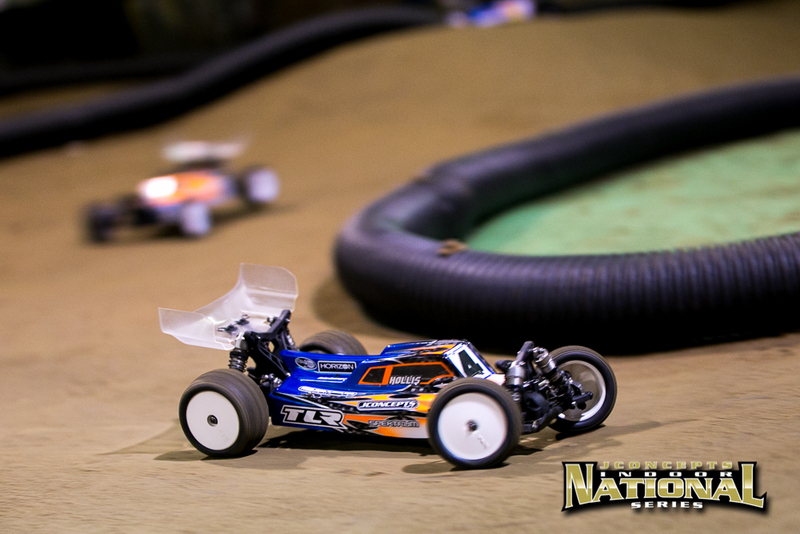 Tags: 1/10th, 2015, 2wdmod, ae, indoor, jconcepts, kyosho, nationals, offroad, race report, smactrac, team associated, tlr, winter. Bookmark the permalink. Previous post ← Schoettler doubles up in A1!